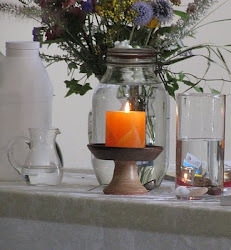 UU A Way Of Life: Have your left the path of the ego for the path of the spirit? Have your left the path of the ego for the path of the spirit? The perennial psychology distinguishes between the states of human consciousness as asleep and awake. Most human beings spend most of their lives with their consciousness asleep. Steve Taylor describes the sleep state of consciousness in his book, The Leap, as having four categories of signs and symptoms: affective, perceptual, conceptual and behavioral. We will be taking these categories of signs and symptoms of a sleeping consciousness one at a time. In this article we will describe the signs and symptoms of the conceptual category. When individuals are still asleep all they care about are me, myself, and I. They are thoroughly embedded on the path of the ego and their only lens to perceive and understand themselves and their world is through their own desires and benefits. This is the view of the young child. In kindergarten, if not before, we learn to share, wait our turn, and not budge in line. Recognizing that other people and other things in the world have their own agendas and needs different from our own takes awhile to comprehend. With the growing perception and understanding of the needs and desires of other people and things in the world be begin to develop a group identity and this too is egocentric. My family, my community, my school, my state, my country, my church. There is a sense of threat from the "other" the not me and mine. Steve Taylor writes, "Awakened individuals have little or no sense of group identity. They see distinctions of religion, ethnicity or nationality as superficial and meaningless They see themselves purely as human beings, without any external identities, who are do different from anyone else. As a result, they don't put members of their own group before others, but rather treat people equally." p.19, The Leap. The way that Unitarian Universalists awaken is to covenant together to affirm and promote the respect for the interdependent web of existence. 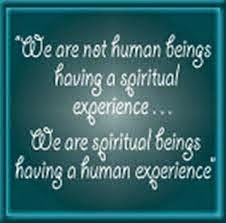 Our awareness becomes that of the Oneness, Existence, the All. Unitarian Universalism is not an exclusive faith that separates people, but rather an inclusive that celebrates all the parts of the whole. 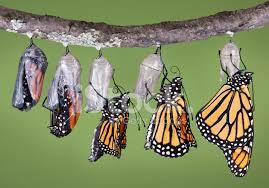 We leave the path of the ego and emerge on the path of the spirit shedding our ego like a butterfly sheds its cocoon.